The explosion of social media in the last 18 months has many people questioning the future of SEO and search in general. So we thought we’d take a look at our analytic statistics over the last 12 months to see what the trends show. At the start of the year we began to look at how we could use search engine optimisation and social media to our advantage, by meeting new people and increasing awareness of our website, blog and services. We went ahead and completed a full SEO project on our own site (keyword research, on and off-page optimisation, link building etc), opened a Twitter account and began writing articles. 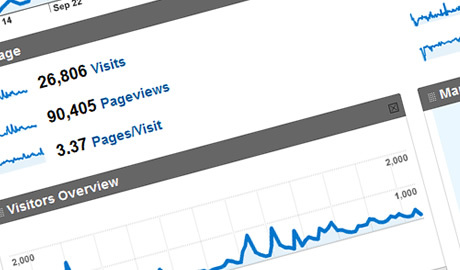 Lets take a look at how our efforts have affected traffic to our website. Although we submit all of our articles to social bookmarking sites like Stumbleupon, Delicious, Dzone etc you can see the effect this had on referring site traffic. pretty much all of this traffic is down to the content contained on our web design blog. 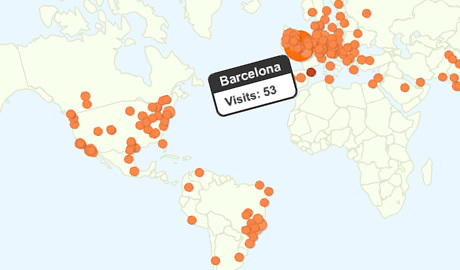 Although we weren’t running analytics on our website for all of last year, if you were to compare December 2008 with November 2009, we’ve seen over a 3000% difference increase in traffic (325 visits in December 2008, compared to 10,406 in November 2009 incase you were wondering). So what about the search vs social media aspect of our traffic? It’s obviously hard to compare the two as social media can be very instant,.You write an article, post it on Twitter and submit it to a few sites and within 24 hours you could have a few hundred additional visitors to your site. With search however, it’s very much a long term process which can take months for results. 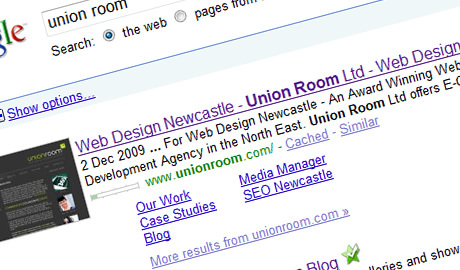 We received over 11,000 visits from Google organically in 2009, over 9,000 of these visits were in the second half of the year which displays the long term growth of search engine traffic. The beauty of search is that in 2010, we could do very minimal work on the current SEO we have implemented and still achieve decent results, whereas with social media we would still need to maintain our blog, twitter account and bookmarking submissions to achieve the same stats we have this year. With social media only getting bigger in 2010, it’ll be interesting to see what the end of year stats look like next year but we predict largely the same findings. Social media providing good traffic as long as we maintain our design blog and continue to meet people on twitter, with SEO providing the backbone for our main websites traffic.